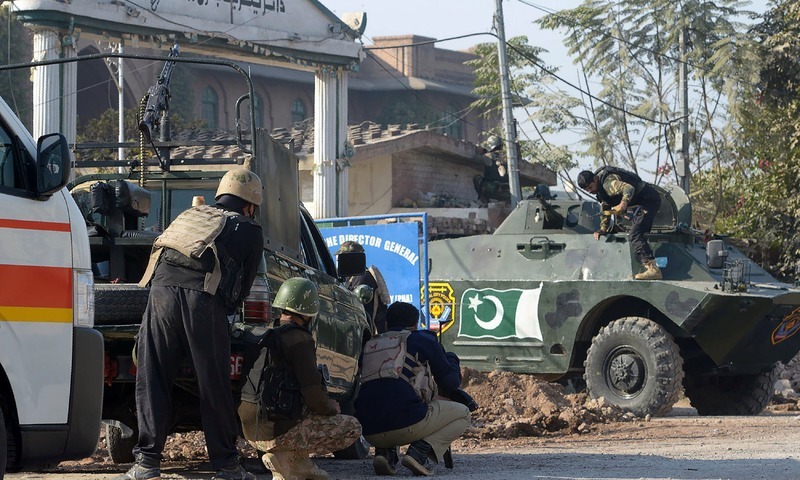 Nine people were killed and 37 injured as at least three terrorists dressed in burkas stormed the hostel of Peshawar's Agricultural Training Institute (ATI) on Friday morning. The attack was claimed by the Tehreek-i-Taliban Pakistan. Both police and military officials said the attackers had been coordinating with handlers based in Afghanistan. Security forces reach the site of the attack. 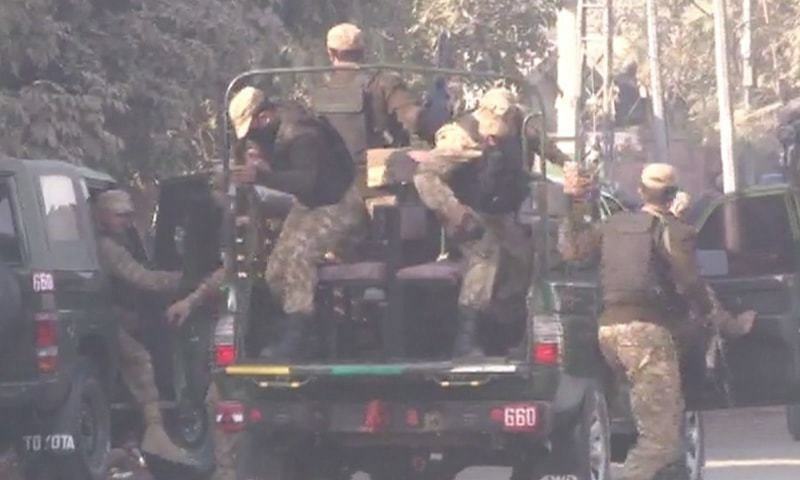 Security forces hunted down and neutralised the terrorists in an operation launched soon after the attack was reported. They were assisted by military helicopters conducting aerial surveillance of the premises. 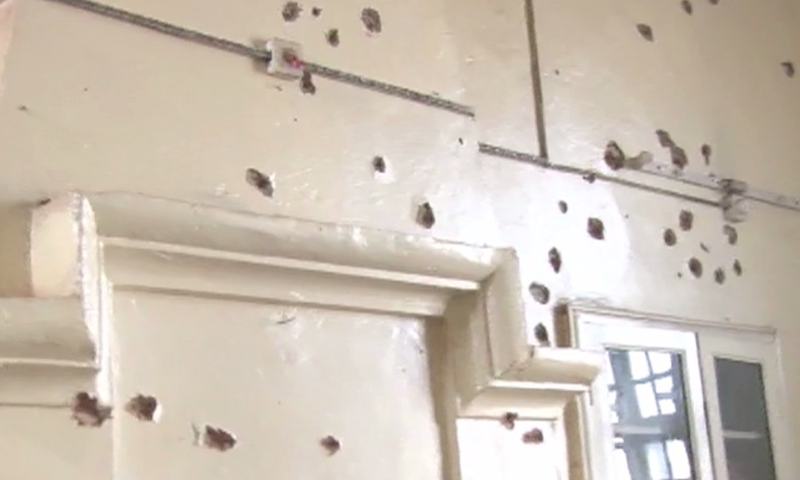 After the threat was neutralised, security forces began clearing the institute's premises. Shortly after, journalists were allowed to enter the institute. Hayatabad Medical Complex Director Shahzad Akbar said six dead and 18 injured had been brought to the hospital. 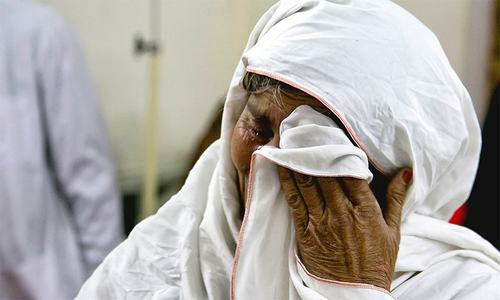 Khyber Teaching Hospital sources said they had received three bodies and 17 wounded. 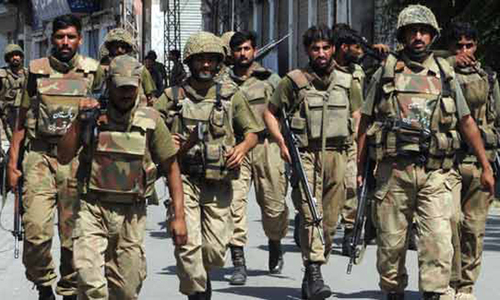 Inter-Services Public Relations (ISPR) said two soldiers had been injured in the rescue operation. They had been shifted to the Combined Military Hospital for treatment. The province's police chief said six students, the institute's gatekeeper, and two civilians are among the dead. One police officer, two soldiers and a journalist are among the injured, he said. Peshawar's University Road, where the incident took place, is now open for traffic after being closed in the hours following the attack. The Agricultural Training Institute has been closed for an unspecified period and the hostels have been cleared of students. Director General ISPR Maj Gen Asif Ghafoor and Inspector General KP Salahuddin Mehsud both stated in separate press conferences that three terrorists had been involved in the attack and had been killed; with the IG adding that the identity of a fourth suspected attacker was being confirmed. The DG ISPR also said the attackers were in contact with their handlers in Afghanistan throughout the assault; a statement echoed by the KP police chief. The KP chief minister, however, later revealed that one attacker had been injured during the security forces' operation and was being interrogated. He also revealed that the attackers had arrived in Peshawar only the night before. "One of the attackers was around 35 years old while the rest were under 25," he added. Bomb Disposal Squad chief Malik Shafqat said that the terrorists had been wearing suicide jackets packed with ball bearings. However, he said, the terrorists were all killed before they could detonate their vests. All bombs found on the premises were defused, he assured. Three suicide jackets and 20 grenades ─ all intact ─ were recovered from the killed militants' possession, as well as small arms and ammunition. According to a senior superintendent of police, police had been informed that the hostel was not adequately secured even though it was among the more vulnerable areas in the city. 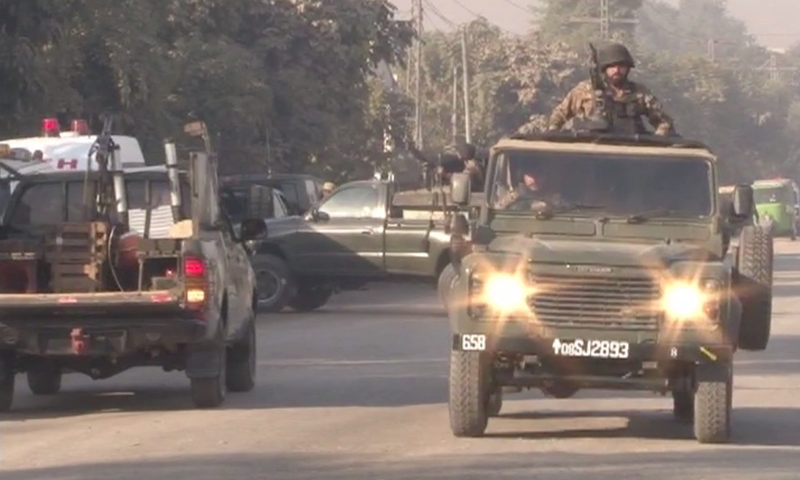 KP IG Mehsud, while briefing the media on the attack, said that Peshawar police, along with Elite Police, the Rapid Response Force and other police groups, took part in the operation along with army troops and Special Forces personnel. KP IG Salahuddin Mehsud addresses a press conference after the operation wraps up. "There were two hostels in the area," he explained. "The terrorists were able to attack one hostel, whereas the other one was secured by security forces before they could reach it." "There were around 60 people in one hostel and 50-60 in the other," he continued, adding that housing colonies are also located in the surrounding area. "If the hostels and houses had not been evacuated in a timely manner, the number of casualties could have been in the hundreds," he said. Armoured Personal Carriers were used to carry students safely from within the university to outside the premises, the IG said. "Three terrorists have been killed. One person's identity is being verified... The fourth. They are checking it," he said. "The regional situation is such that foreign intelligence agencies and terrorists on the other side of the border are cooperating. The terrorists aim for soft targets or opt for isolated incidents in the Federally Administered Tribal Areas and KP," he said. The police chief commended his force for taking swift and effective action and preventing a larger tragedy — a belief echoed by the army's spokesman and the province's political leadership. KP Governor Iqbal Zafar Jhagra told DawnNews that the terrorists had come prepared to stage a bigger attack than they were able to execute. Footage showing weapons and explosives recovered from the terrorists. He condemned the attackers for causing loss of life on Eid Miladun Nabi. "Who can commit such an attack on this day?" he asked. "This action is against our religion. It proves that those who do such things really are terrorists." "The public needs to stay alert and inform the army and police of suspicious individuals," he added. Chief Minister Peshawar Pervaiz Khattak said that although the KP police is "always alert", this incident "happened suddenly". "The police arrived and took control [...] Security measures have been taken keeping Eid Miladun Nabi in view. Our police was there soon after the firing started," he said. Pakistan Tehreek-i-Insaf Chairman Imran Khan tweeted his condemnation of the terror attack. He commended "the rapid response of the KP police and army that helped in containing [the] damage and concluding the operation". "The reformed professional KP police force with its special rapid response unit has made a difference in dealing with acts of terrorism in a timely, holistic and coordinated manner," he said. The attack began around 8.30am as three loud explosions were heard and firing broke out at the ATI hostel opposite the Agricultural Directorate after at least three burqa-clad suspects entered the building. The area where the incident occurred is a hub for educational institutions in the city, including the University of Peshawar. The ATI hostel was officially closed today for Eid Miladun Nabi. Ordinarily, there are around 400 students at the hostel, but because of the holiday today there were only 150 present, a university student who witnessed the attack said. "Two terrorists entered and fired, and the students began running. Some were injured; others jumped out of the windows of the hostel," he said. Noor Wali, a 19-year-old student at the institute, described a terrifying ordeal that began when he was woken by gunshots. "I rushed to the door and saw a fountain of blood pumping out of the shoulder of my roommate who was standing outside the room," he told AFP. He and another student rushed to his aid, and hid from the gunmen for almost an hour before they were rescued by security forces. "The other student was pressing the wound with his hands to stop the blood and I had to put my hand on his mouth so that he cannot scream," he said. "We took shelter inside the bedroom and were begging the injured student not to make any sound as the terrorists might hear it and kill us." An overview of the damage inside the hostel. 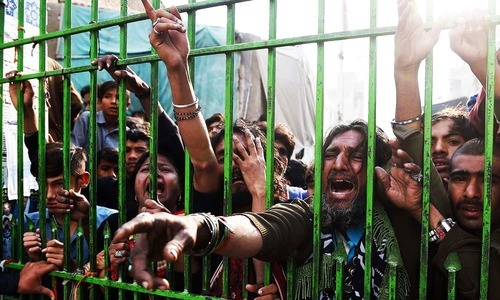 "There was firing everywhere," a visibly disturbed student told DawnNews. 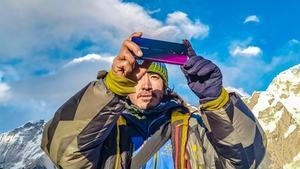 "We were able to bring some women and children out with us. The warden's family came out safely with us," he added. "I was asleep. When we heard the gunshots, we quickly shut our room's door and made phone calls to find out what was happening. We were told that the people outside are terrorists and that we should keep our room's door shut," said Saleh, another student who was in the hostel at the time of the attack. He added: "The terrorists shot at everyone who was roaming around and they were breaking doors down to attack students. Thankfully security personnel reached the hostel before those men came to our room — that is why we are alive." The attack comes a week after Additional Inspector General (AIG) Ashraf Noor was martyred in a suicide blast in the city's Hayatabad area. Prayer for safety of students and staffs. Good there are not many students there as it is a holiday. Pakistan Strong. Stay united. We are one. Another attempt by TTP to terrorize people. Sad to hear. But well done police for taking control of the situation before it could become much worse. December is already a sad month for Peshawar, remembering APS. PESHAWAR: At least 16 people including a police sub-inspector and a constable sustained injuries after armed men clad in burqas encroached into Peshawar’s Agricultural Training Institute early Friday morning. The attack was claimed by the Tehreek-i-Taliban Pakistan. They are not even human, let alone calling them religious parties. It’s systematic and targeted approach of enemy to put this region into darkness. People attacking are just paid mercenaries with no real personal motives. What is happening to Pakistan? of all the targets ,attack is taking place in a hostel of Agriculture Training Institute .Does not make sense. it seems that diversion is needed in the day to day politics of Pakistan . Who are these people and what is their goal? It gives very wrong message to rest of the world about Pakistan, please control such incidents, punish them. Peshawar is not the safe city. TTP and their backers trying to hurt the national feeling of Pakistan. They will not succeed. We are over 220 million people!! It's very sad incident,why targeting agricultural institute??? I am unable to understand. When the people of pakistan will unite against these activities. Prayer for safety of innocents. @Khwarizmi Love your words Inshallah never ever, 200+million brave people. Unless the double games of the Pakistani establishment stop, these attacks will just be the new norm. 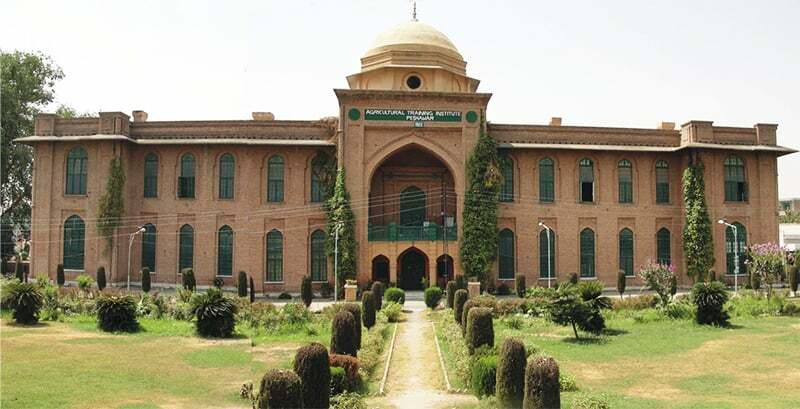 My friend is studying there in Agriculture University. I was so anxious to talk him since morning and just received his text message that He and his colleagues are all okay. Just thinking, If being a friend I am this much desperate to know about his status, what would have happened to her mother when earlier this morning his cell was switched off. Because, with improvement of readiness at various security agencies related targets, those have become difficult to attack. Perpetrators of terror have now started to look to relatively softer targets. @A shah - "What is happening to Pakistan?" Again and again ? And our security forces keep in claiming that everything is under control ! Unfortunate common people paying price for the game which started by rulers. If you get indulged into changing the political scene in the country, you are bound to be distracted from your primary responsibilities of keeping people safe from terrorists. very sad incident can not explian my feelings in words why peshawar is always targeted? A tragic loss of life! The story doesn't quite mention that the attackers had disguised themselves as women; they were wearing Burqa. How long has such inhuman brutality been going on? How to put an end to such terror attacks in this region? Why we are not winning all out war against these inhuman forces? How this region can become peaceful again for future generation, like it was at time of Budhha? These are the questions that we should resolve instead of stopping to mourn and keep moving on again and again. Still awaiting statement from PTI condemning TTP for such a heinous act. So much time has passed but nothing against them........!!! Till now 9 innocents have lot their lives and you are taking this opportunity to praise security personnel of KPK who are hired n paid to stop all this mess which they failed again miserably. Ask families who lost their loved ones. The question is what will it take to stop the senseless killings and how long will it be. So sad to see regularly the mindless violence that is now more than ever threatening pakistan stability. very sad even to hear. How the family of deceased will bear the loss. How these things are happening in the world. Any one saying good job to kpk police should first visit the houses of the dead and get in their shoes. Total failure in security. @Desi Dimag what is your practical solution!! It's time for the Govt. to take stern action against these elements and make an example of them ......if proven guilty hand them in public. Perhaps the Govt. need to put more efforts into it, find those who instigated and finance these criminals and treat them the same as the guilty ones. Leave no stone unturned in the investigations because the families of those who lost their children demand justice. What these people want? Why an agricultural institution?